We spent the last days of September at the beach. 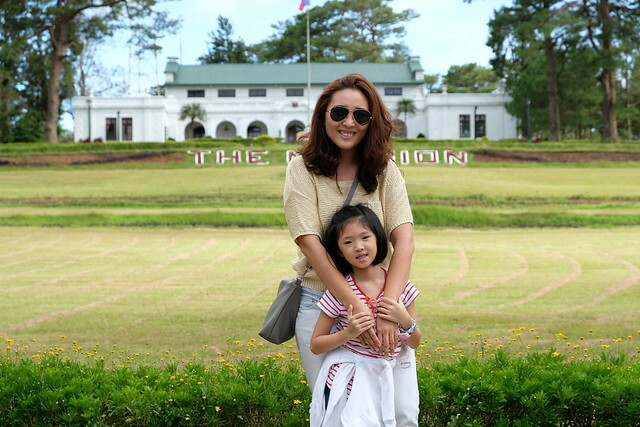 Y wanted to go the beach for her birthday but we had a sudden change of schedule (that's when we decided to spent it at Enchanted Kingdom) and just booked our beach trip on the next school holiday. BOS and I couldn't decide where to stay at first. 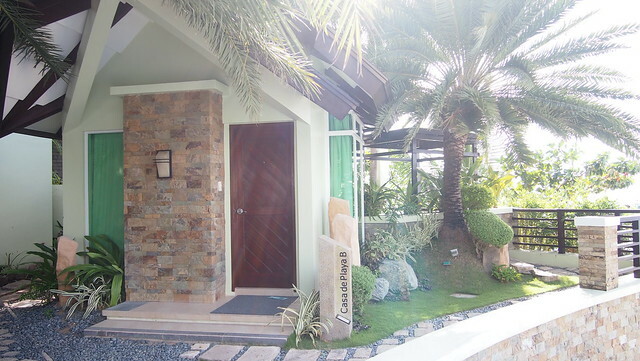 We initially wanted to try to stay in Calatagan, Batangas but the resort where I wanted us to stay was fully booked and that's when BOS suggested Acuatico Beach Resort. 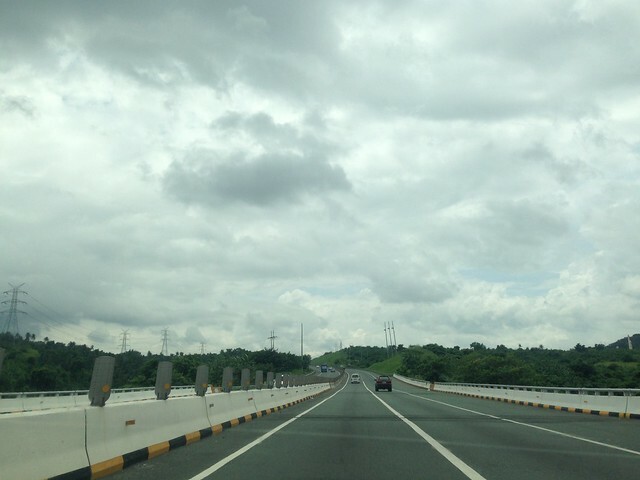 While on Star Toll on the way to Batangas, it started to rain and the sky was grey and gloomy. And I started to feel grey and gloomy too! I don't want rain on my beach trip! Diba? Then it rained really hard! 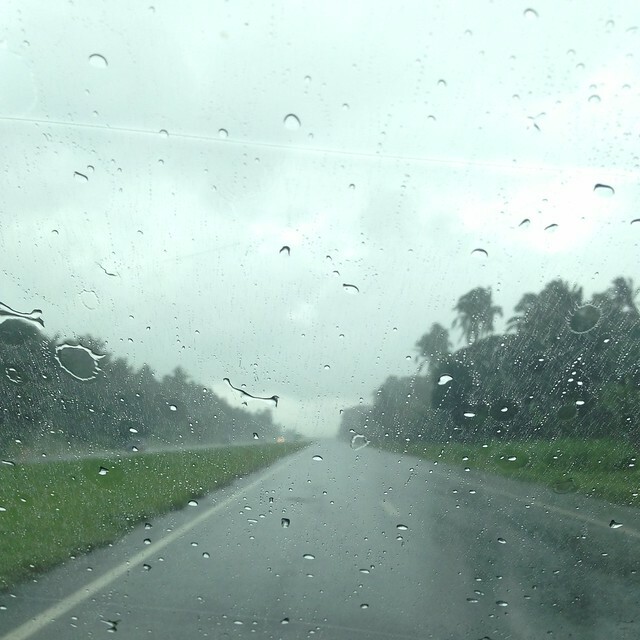 Sabi ko nga we were so #blessed that day for it to rain. Heehee! BOS said to stay positive and be positive for the kids and true enough when we got to San Juan, Batangas, it was bright and sunny! Check-in was fast and hassle free and the front desk ladies were super friendly! They were wearing Cole Vintage! Nice noh? One look and I knew it was from Cole Vintage! 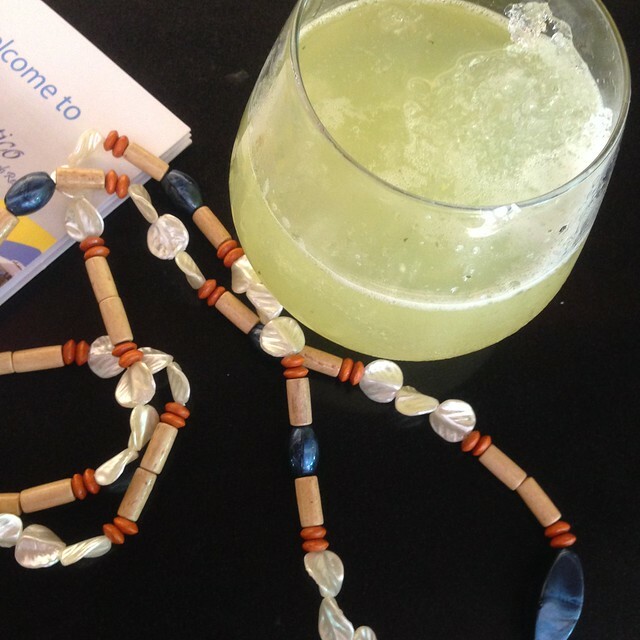 They also gave us welcome drinks and necklace! That pineapple coolie was refreshing! Hello Acuatico! Hello summer in September! BOS made sure I specifically book their Casa de Playa because it fronts the beach. Let me give a little tour of our casa! Mi casa su casa! Heehee! This was the view from our room. I wouldn't mind waking up to this view everyday! 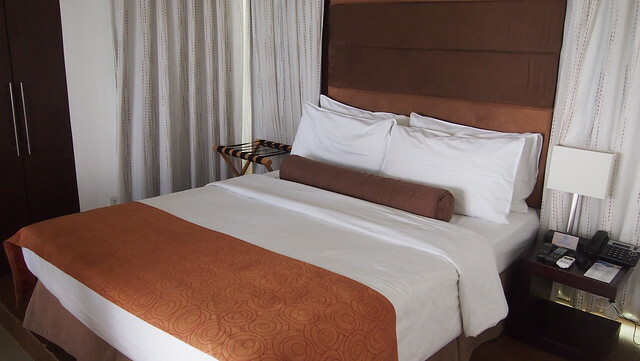 Case de Playa has a queen bed, which was a little bit small for the four of us but we managed. BOS had stiff neck the other day haha! 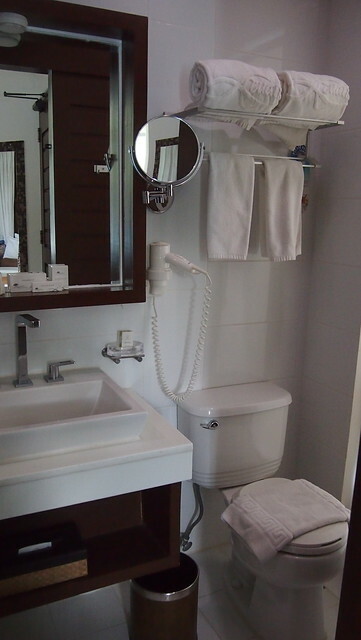 Bath and toilet complete with toiletries and towels. 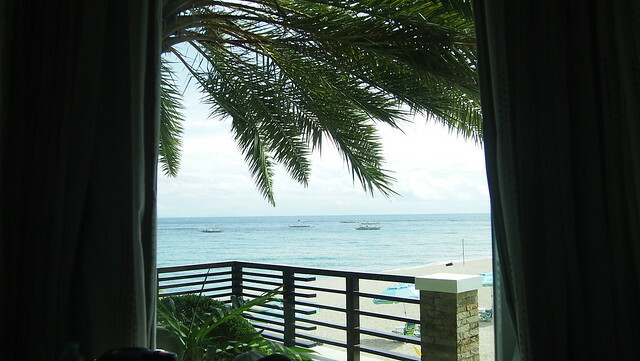 There's a small private terrace overlooking the beach where you can have coffee in the morning or beer at night. 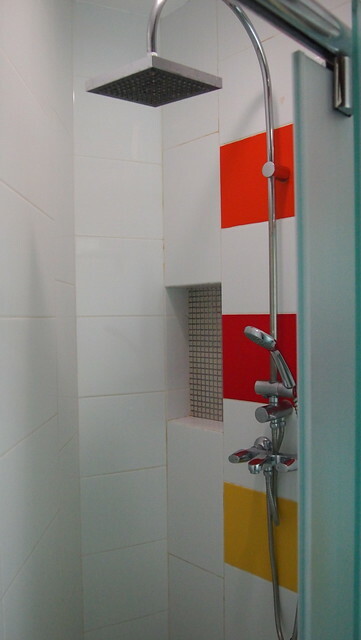 There's also a clothesline where you can hang your wet swimsuits after. After settling in our room, we changed into our swim wears, and headed on to the pool! 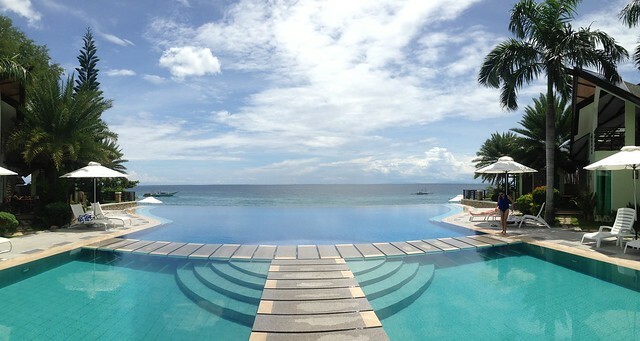 There's a total of four pools in Acuatico, an outdoor jacuzzi, a kiddie pool, and two pools leading to the infinity pool. Kids were so excited they were jumping from one pool to another! Heehee! The kiddie pool was around 2 feet. If they can, they would have stayed here the whole day! 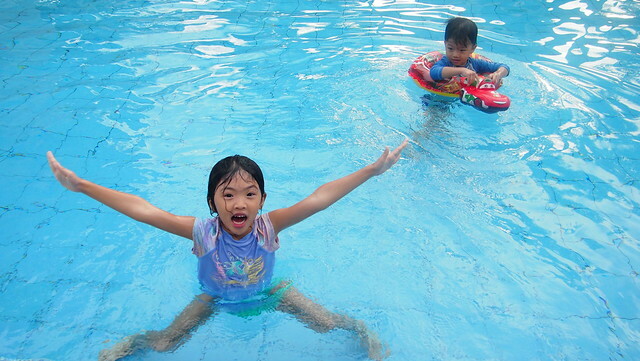 Papa and mommy were very happy that the kids enjoyed their time at the pool! 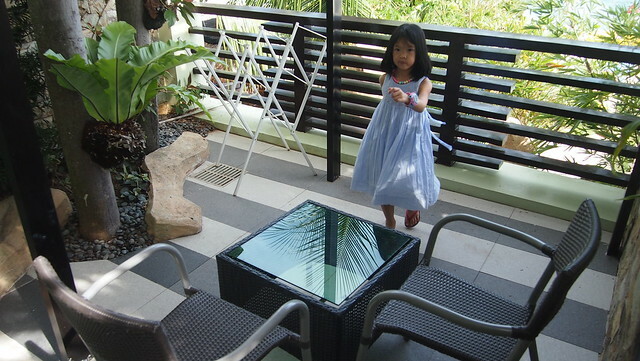 And while at the pool, we ordered some snacks from Acua Bar. Food choices were limited though. 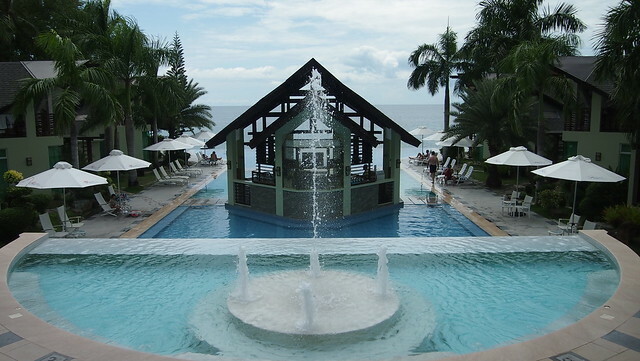 Acua Bar is located in the middle of the infinity pool. 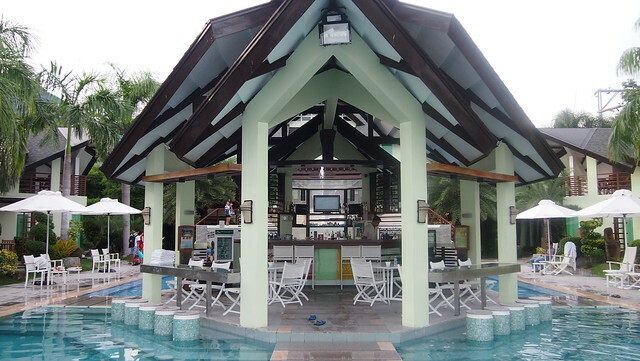 You can order your food and drinks here and enjoy it by the pool! 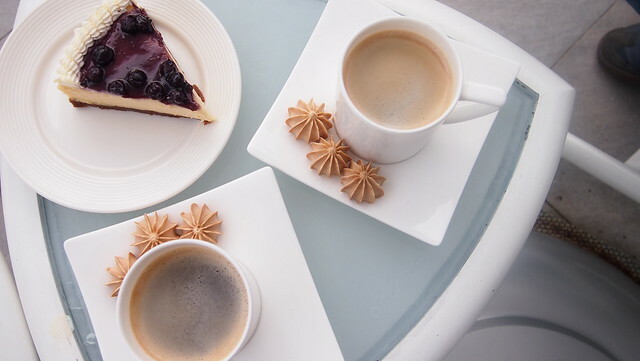 Coffee for mommy and papa and cheesecake to share for all of us! Haha! I wasn't sure if the cheesecake was any good. It was okay but Y liked it haha! After spending time at the pool, it was time to hit the beach! 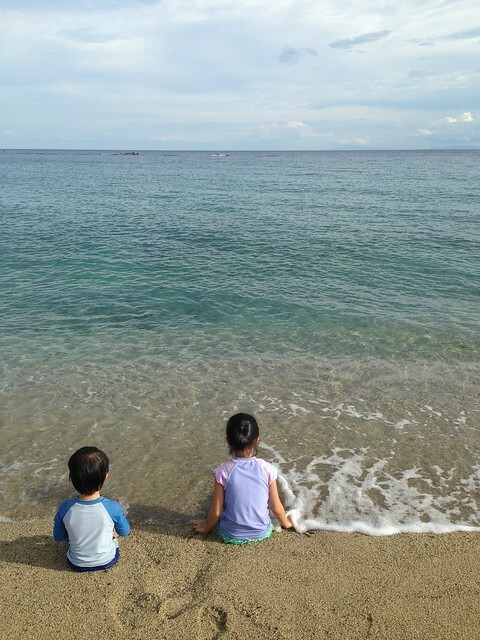 We didn't get to swim at the beach though because BOS doesn't like to swim so I was by myself with the kids, mahirap na! We just played by the shore. They loved playing with the sand! R would bury his toy cars under the sand and he would forget where he buried it! My gosh! Ang hirap hanapin ha! I thought we would never find it but BOS did. Hay haha! 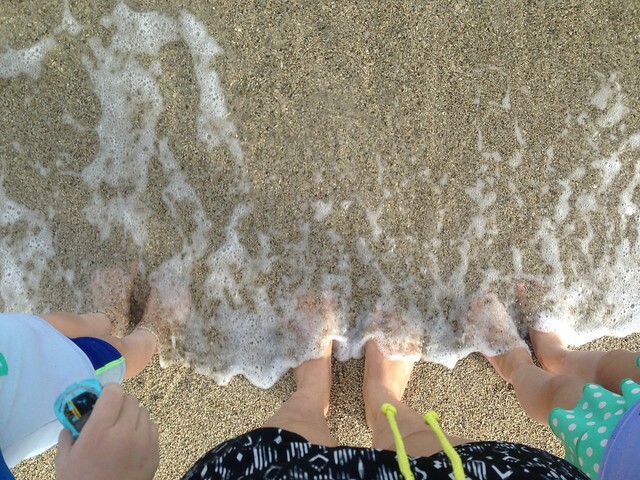 We sat by the shore and waited for waves to crash on our feet. This made them laugh and laugh and that is music to my ears! It was getting dark when we went back to our casa, the kids didn't want to go yet but we had to shower before dinner. This was the view from Oceano. Took this photo earlier in the afternoon. 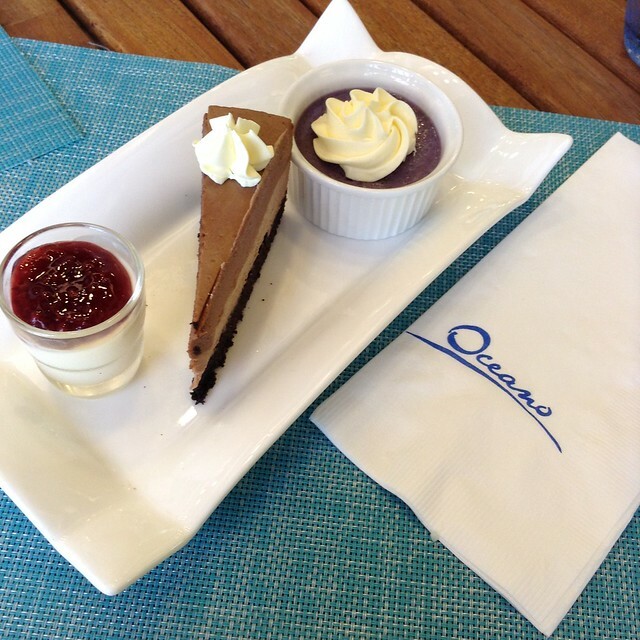 All of our meals were served and eaten at Acuatico's Oceano Restaurant. We had buffet for dinner and breakfast the next day. 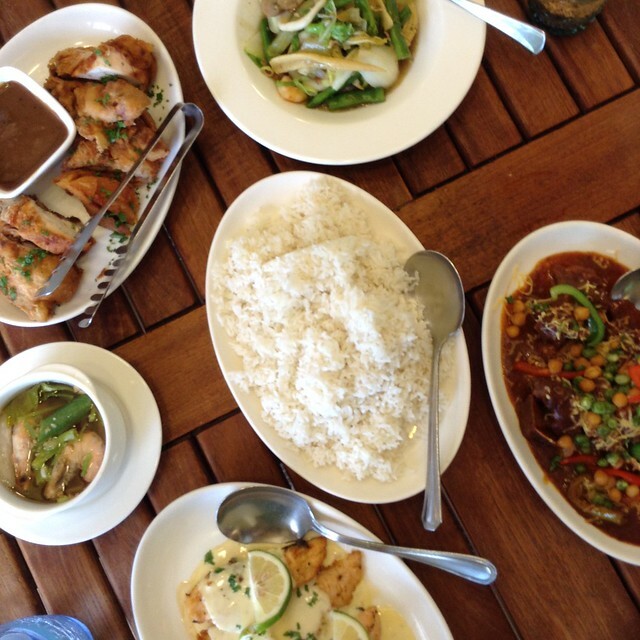 But for lunch the next day, they served it family style because we were the only ones who stayed until lunch hahaha! I've paid for every meal when we checked in so I won't have to worry about our food and just enjoy our time in Acuatico. 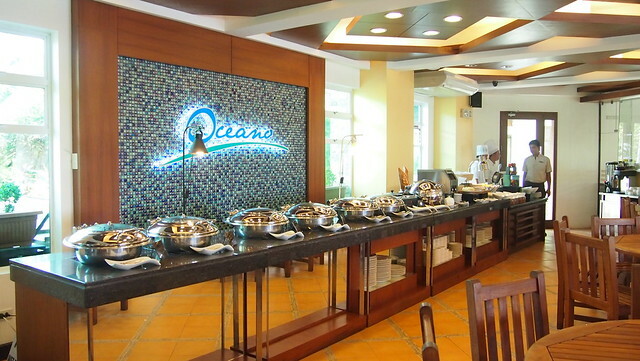 Oceano serves a variety of Filipino, Asian, and Continental dishes. 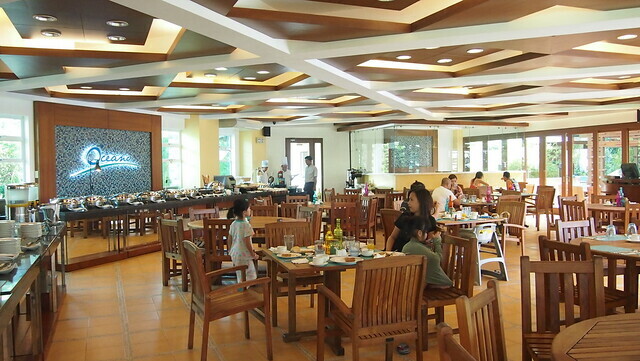 Their specialties include kare-kare and Batangas Lomi! Our family style lunch during our last day. Serving was more than enough for the four of us! The desserts on our last meal was probably the most memorable food from our trip. Hehe! That ube creme brûlée and panna cotta were so good! After dinner, we went back to our room, watched a little bit of TV before we went off to lala-land. 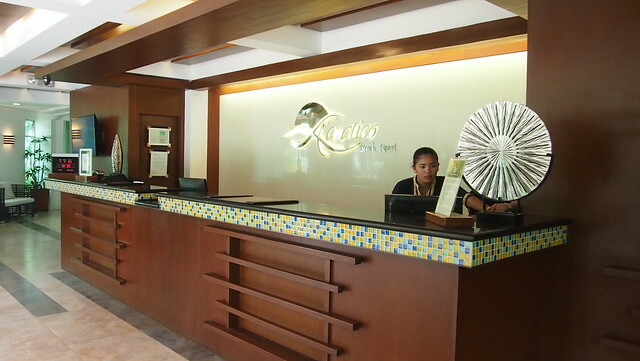 If we had a yaya or if you're going on a quick getaway with your significant other, you may want to avail of their spa services at Simona Spa or have a night cap by the pool at Acua Bar. The kids and I woke up early the next day. 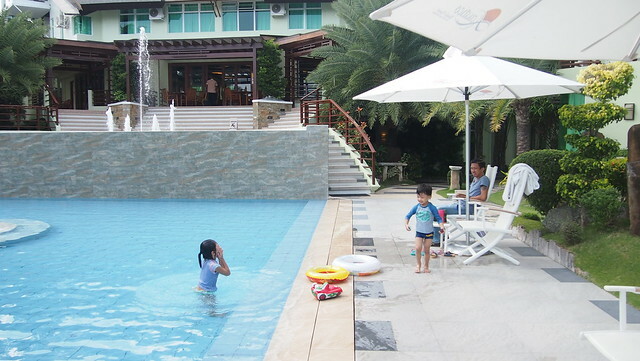 They were so excited to swim again but we first had our breakfast first before jumping in to the pool again. We stayed in the pool until lunch time heehee! 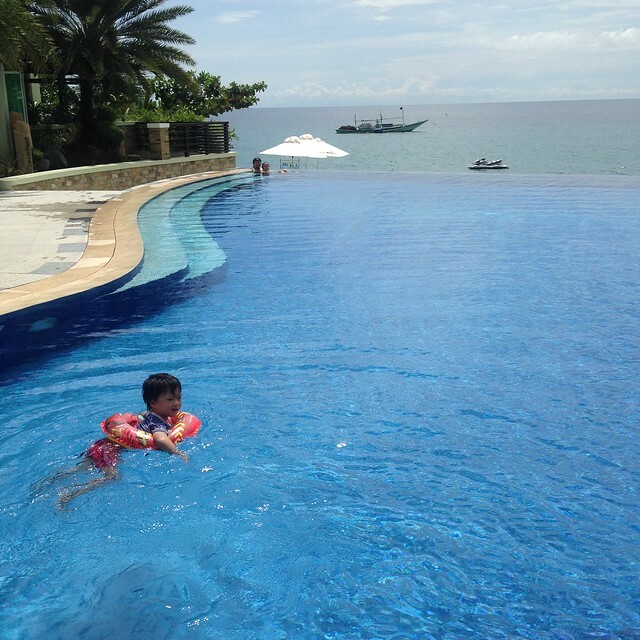 Sinulit nila ang infinity pool! They stayed mostly in the kiddie pool but my little brave boy went from one pool to another! "Come on, let's go mommy!" And while the kids were at the pool, mommy and papa ordered refreshments again. 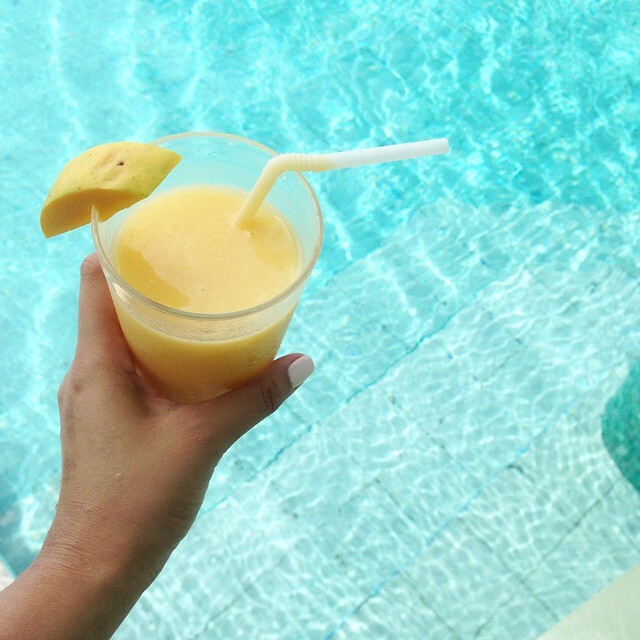 Mango shake to go with the scorching heat of September! Thank you BOS for taking us here! 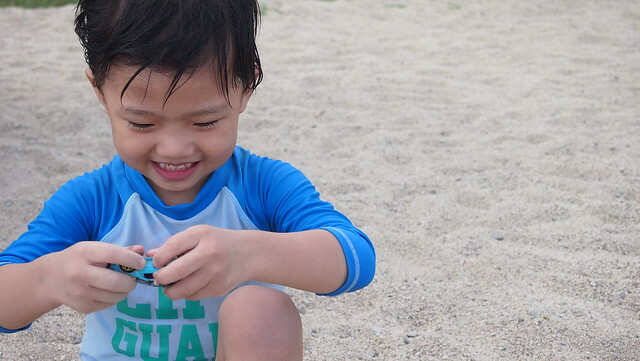 The kids loved their time in Acuatico and have been bugging us to take them back! Four shades of blue! Ahhh Acuatico is gorgeous! 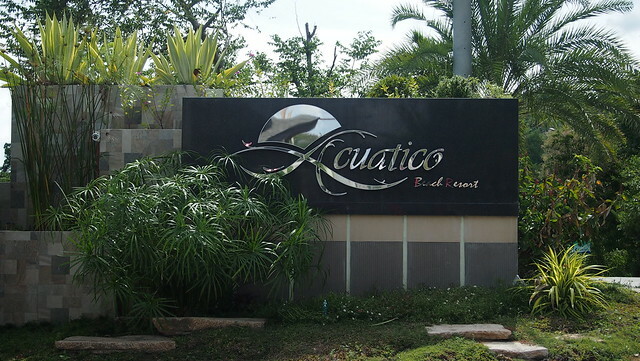 We loved our stay in Acuatico! 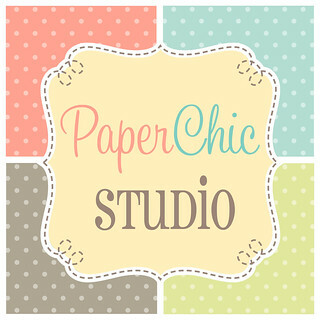 Their staff were very courteous and friendly. The casa we got was a bit small and adding an extra bed would make the room masikip. Maybe we should get a bigger room next time! 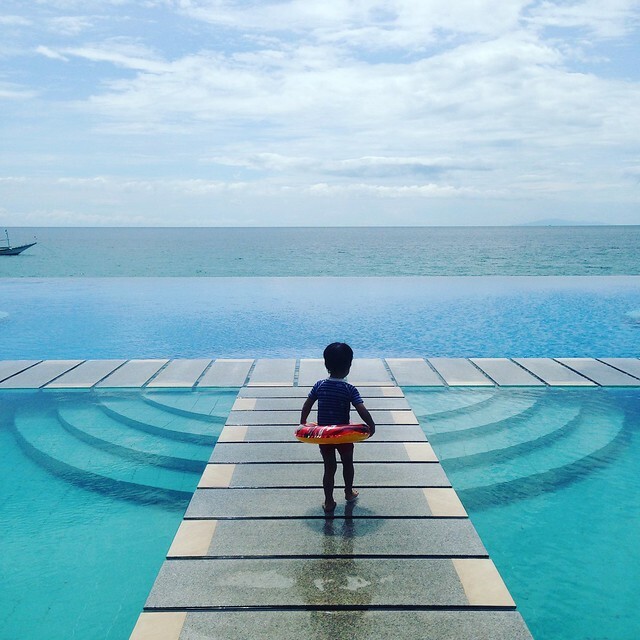 We love their infinity pool! Their food was okay, I was hoping to have more choices but we're happy with what was served. 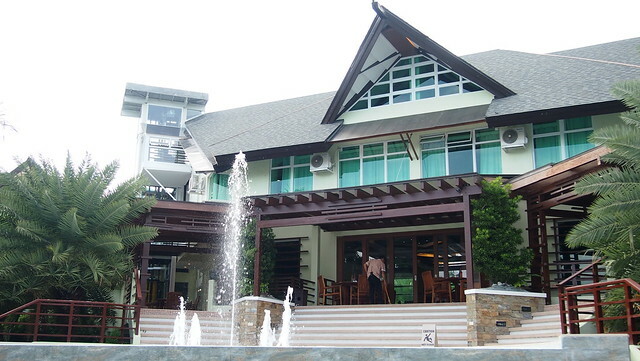 For more information on Acuatico Beach Resort, you may visit http://www.acuaticoresort.com.ph/. 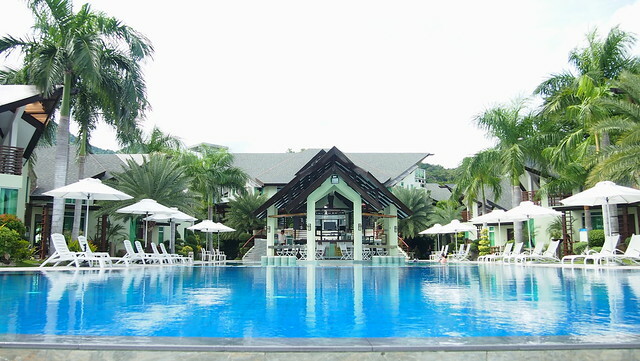 Facebook: Acuatico Beach Resort and Hotel Inc.